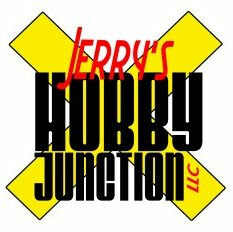 Our company was formed on January 1, 2009 to manufacture items for the hobby industry and hobbyist everywhere. In the future we will be producing products for Model Railroading, Rocketry, Radio Control hobbies and other hobby areas. Our first products are a line of HO and N Scale buildings designed by Jim McCarron of Rustic Rails and Musket Miniatures, LLC. These are a line of rustic buildings made of cast resin and are great for modular "mobile" HO and N Scale layouts due to their realism and durability. Most of the structures are one piece so you do not have small parts falling off every time the layout is stored or moved. Of course they look great and will find a place on your permanent layout at home too. These great products are made in our shop in Richland Center, Wisconsin, USA.